Fantastically researched historical fiction about the Iroquois, a group of native American tribes who side with the British during the American war in independence. 1775. In Massachusetts, the conflict between the British Empire and the American colonies becomes all out war. In the colony of New York, the Six Nations - or “League of Peace and Power” – must decide if they are going to participate in the war, and alongside whom. In the Mohawk River Valley a mestizo world exists. It is a great community of Indians, Irish and Scottish, founded by Sir William Johnson, Superintendent of Indian Affairs appointed by King George. The thunder of war is heard in Boston and continues getting closer, old bonds are broken, the land that Sir William called "Iroquoireland" becomes a scene of hate and resentment. 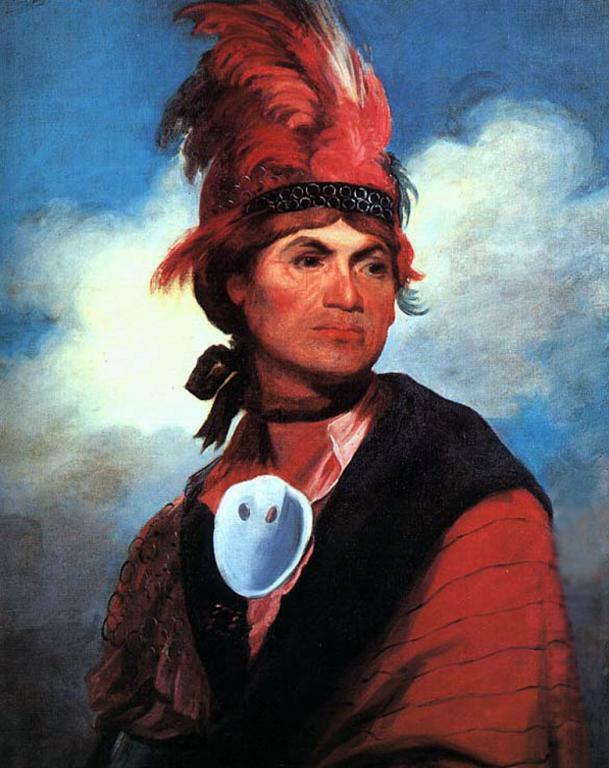 The war chief Joseph Brant Thayendanegea (pictured) has to make a decision and set off, taking his people far from their native land, going beyond the world he has always known. Taken from http://www.wumingfoundation.com. PDF resized by libcom.org. Is the working class movement dead?